Buyers looking for the best new pickup truck deals and incentives August 2011 can take advantage of some good offers out there. While there aren’t as many incentives as in previous months, if you do your homework, you can come out ahead. Remember, dealers need to move inventory off their lots to make room for 2012 models. 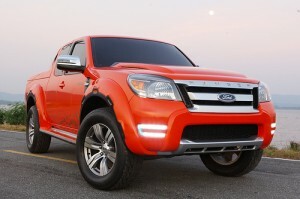 Most of the best new pickup truck deals and incentives August 2011 are regional, and will vary by region as well as model. We’ve listed some deals here, but go to the manufacturer’s site if your region isn’t included. $2,500 cash back – applies to Regular Cab models. Offer available in Northeast, Southeast, Northwest and West. $3000 cash back – Applies to SuperCab and SuperCrew models (except F-150 SVT Raptor). Offer available in Northeast, Southeast, Northwest and West. $3,500 cash back – Applies to Regular Cab and SuperCrew models. Offer available in the Southwest. 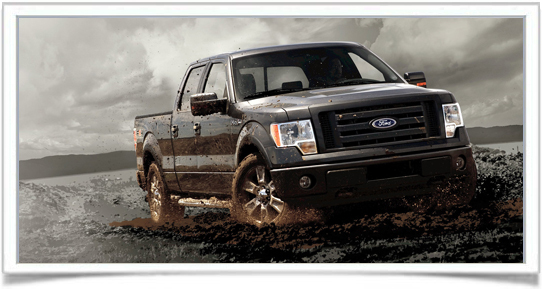 $4,000 cash back – Applies to SuperCab models (except F-150 SVT Raptor). Offer available in Southwest. $3,000 cash back OR $1,000 cash back plus 0 percent financing for 60 months or 1.9 percent financing for 72 months. Applies to Ranger four-cylinder. Offer available in Northeast, Southeast, Northwest, West and Southwest. $4,000 cash back OR $1,000 cash back plus 0 percent financing for 60 months or 1.9 percent financing for 72 months. Applies to Ranger V6. Offer available in Northeast, Northwest, West and Southwest. $4,500 cash back OR $1,500 cash back plus 0 percent financing for 60 months or 1.9 percent financing for 72 months. Applies to Ranger V6. Offer available in Southeast. 2011 Chevrolet Colorado – Chevy’s compact pickup, the 2011 Chevrolet Colorado, is available for 0 percent financing for 60 months. Applies to regular, extended and crew cab models. Offer expires September 6. 2011 Chevrolet Silverado 1500 (or Hybrid) – Two separate offers for purchase. On the 2011 Chevrolet Silverado 1500, it’s 0 percent financing for 60 months. The same deal is available on the 2011 Chevrolet Silverado Hybrid. Offers expire September 6. 2011 Chevrolet Avalanche – The mid-size 2011 Chevrolet Avalanche offers the best of SUV and pickup worlds. And Chevy’s offering $4,000 cash allowance OR 0 percent financing for 60 months. Offer expires September 6. 2011 Nissan Titan — This deal expires August 31 and is available in the Northeast, Southeast, Northwest, West and Southwest. Nissan is offering the 2011 full-size Titan (does not apply to PRO-4X trim) with zero percent financing for 60 months, 1.9 percent financing for 72 months OR $4,250 cash back. 2011 Nissan Frontier – Buyers in the Northeast, Southeast, Northwest, West and Southwest can choose from 0 percent financing for 60 months, 1.9 percent financing for 72 months or $3,000 cash back. Does not apply to S trim and offer expires August 31. 2011 Toyota Tundra – Get $2,500 cash back on CrewMax OR $2,000 cash back on B and C Cab models OR 0 percent financing for 60 months PLUS $500 bonus cash (New York). In the Southeast, get $500 bonus customer cash PLUS 0 percent financing for 60 months. Both deals expire August 31.